1. The 8th series of the newer Doctor Who was finally added to Netflix this month, which allowed Coffeewife and I to fully catch up in preparation for the newest episodes premiering in September. We weren't sure what to expect from the Peter Capaldi version of the Doctor, although I'd heard and read some things beforehand. He's certainly much less of a wacky Doctor than Tennant or Smith, with more existential angst and a little curmudgeon thrown in. I don't think that he'll be my favorite, but I still like the change of pace, less so the change to the theme song. So now, with the exception of the latest Christmas episode, we're completely caught up and ready for the newest season. 2. I read Being Mortal by Atul Gawande this month. Gawande is a surgeon writing about the proper role of medicine as people consider questions surrounding life in later years or when facing terminal illness. He shares a variety of patients' stories--including that of his own father--to illustrate the positive and negative effects of attacking health problems at all costs vs. considering what will help people live a quality life up to the end. This includes a lengthy exploration of how nursing homes and assisted living facilities approach their care of residents and the ways medical staff tend to focus on fixing problems rather than treating people. It's a powerful, thought-provoking book that was easily one of the best I've read this year. 3. So then I read Pilgrimage of a Soul by Phileena Heuertz. Phileena recounts her "Camino" pilgrimage from Paris to northwestern Spain, interspersed with reflections on contemplative prayer and its affects for everyday life, including voices such as Teresa of Avila and Thomas Keating. 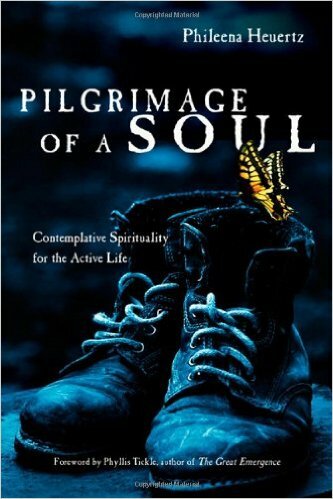 This combination of memoir and rumination makes for a very personable introduction to the spiritual life as a journey, and a reclamation of pilgrimage as a practice for nurturing one's relationship with God. 4. And I also read There's a Woman in the Pulpit from the RevGalBlogPals this month. Members of the popular web ring share some of their experiences as women in ministry. It's quite a fantastic collection of essays, incredibly well-written and vulnerable. Each chapter is no longer than a typical blog post, which makes for fairly quick reading, but packed into each are remarkable stories related to ministry, family, and identity. 5. It took me longer than expected, but I was glad to finally sit down and watch the movie Whiplash, starring Miles Teller as Neiman, an aspiring drummer at a prestigious music conservatory. Neiman runs face-first into J.K Simmons' authoritarian director, Fletcher, who pushes him to (and past) the brink of exhaustion in trying to get him to measure up to a seemingly impossible level of technique. I'll immediately say that Fletcher's tactics were uncomfortable the entire way through: he uses a wide variety of slurs with abandon and throws more than one item across the room throughout the movie. Likewise, Neiman exhibits symptoms of an abuse victim as he braves the absolute worst of circumstances to please his teacher. Parts of the movie are incredibly exaggerated, but I understood the underlying passion by both characters to be the best at their craft that they could be. And as a drummer myself, I found the last 10 minutes or so of the film to be a fantastic combination of catharsis and redemption. 6. I gave My Love Is Cool by Wolf Alice a few listens this month. The band tends to set these brooding lyrics over distorted guitars and crisp percussion, yet it's all done in such a way that it ends up being a surprisingly upbeat, toe-tapping album. Here's one of the singles, "Moaning Lisa Smile:"
7. As soon as I heard that folk-rock duo/married couple Grace and Tony were crowdfunding a new album, I jumped at the chance to contribute. I loved their last album "November," and decided I wanted in on helping them make another one. They easily went above and beyond their fundraising goal, and the finished product, Phantasmagoric, will be available to the public on September 25th. Fortunately for those who helped back their campaign, a digital version was passed along early. I must say that it was money well spent, as it's fantastic. The songs are deep, at times driving, at times rueful, and make wonderful use of a variety of string instruments and influences. Here's a live version of the first track, "Adam of Labour:"